The item Baby's christmas, Esther Wilkin, (ebook.) represents a specific, individual, material embodiment of a distinct intellectual or artistic creation found in Charlotte Mecklenburg Library. 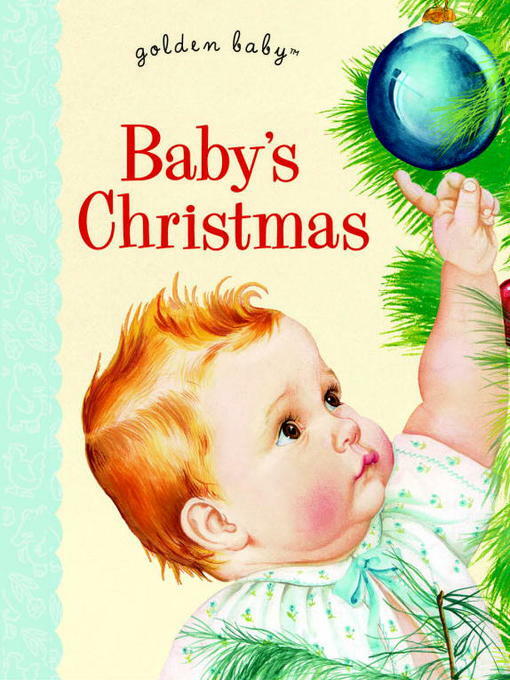 A cherished Christmas classic is back in print to celebrate 75 years of Little Golden Books! What did Santa leave for Baby? Let's go in and see. . . . This sweet rhyming story from 1959, illustrated by beloved Golden Book artist Eloise Wilkin, shows the presents that Santa brought for Baby's first Christmas: "A rocking horse, a bouncy swing, a shovel and a pail, a rubber duck, a little boat for Baby dear to sail . . ." Babies will love to look at this adorable baby playing with his toys and enjoying his first Christmas!